Let’s take a look at a few yellow & black cards from TB03! 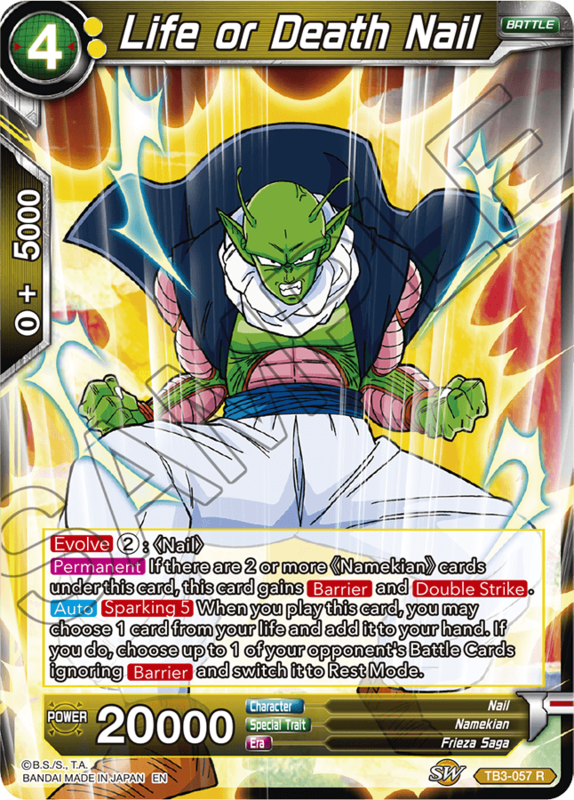 Yellow in TB02 is mostly focused on Namekians & Porunga!! 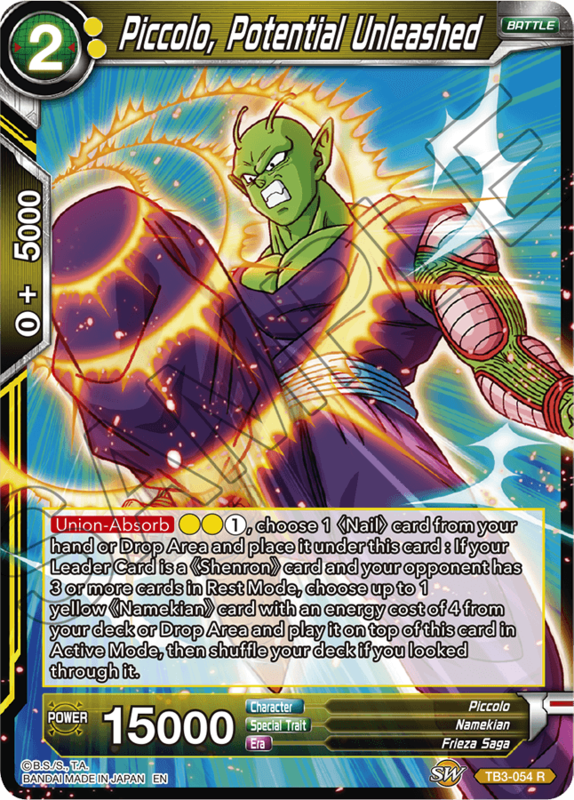 If you were looking for a leader card to power up your Namekians, look no further! Work in some yellow Desire cards to really swing games in your direction! 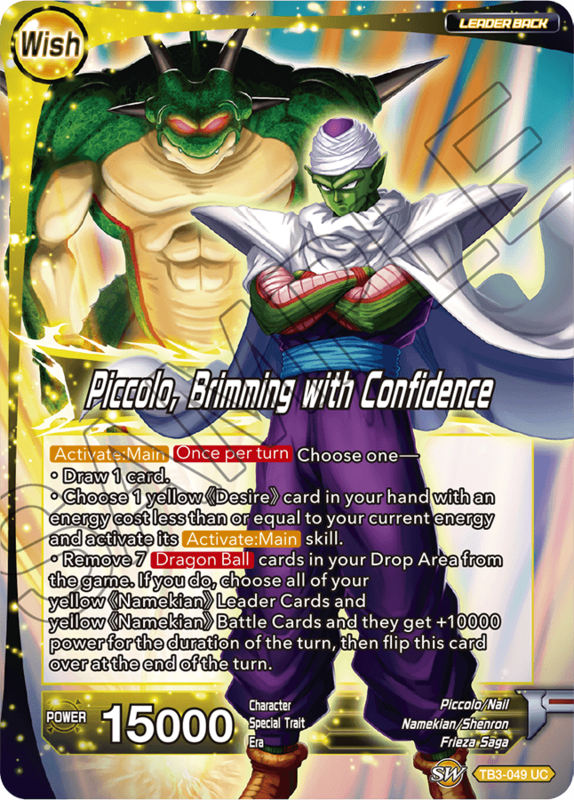 Piccolo has powered up tremendously after becoming one with Nail! 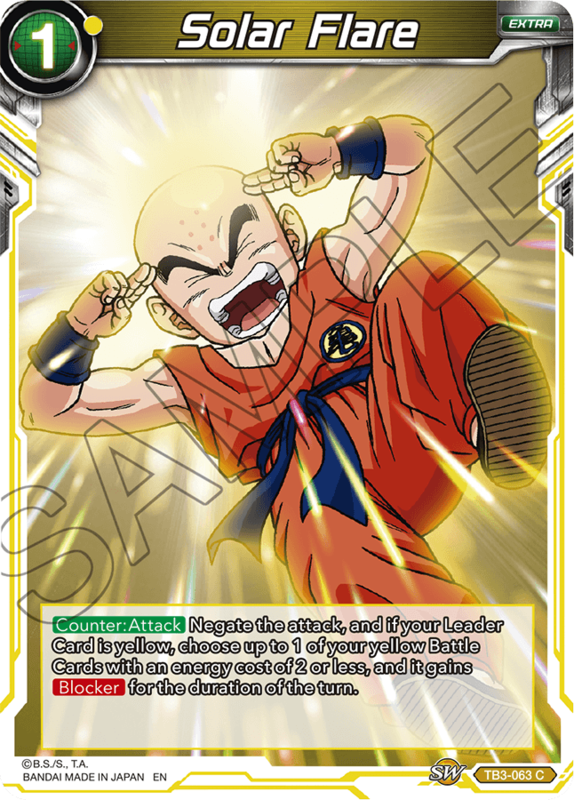 He also pairs well with the soon-to-be-revealed SR cards, so stay tuned! 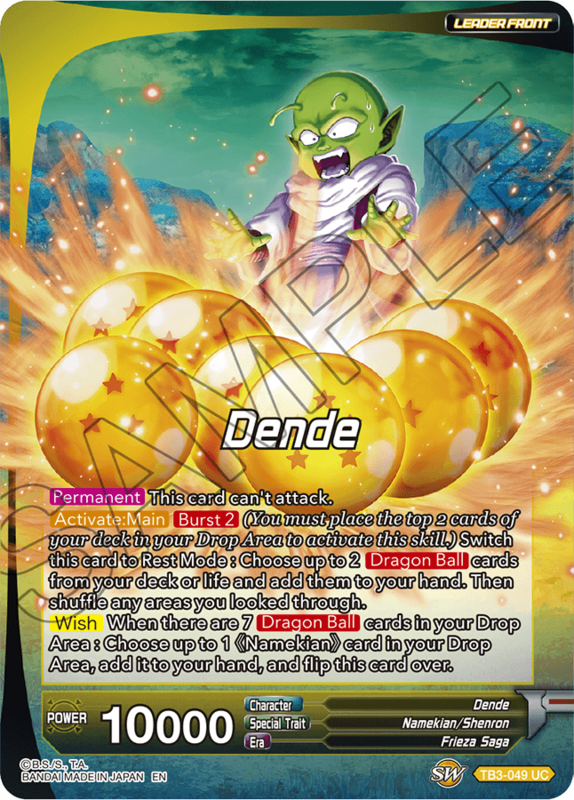 Evolve Nail quickly, then use support cards like Dende to use his skills to their fullest! 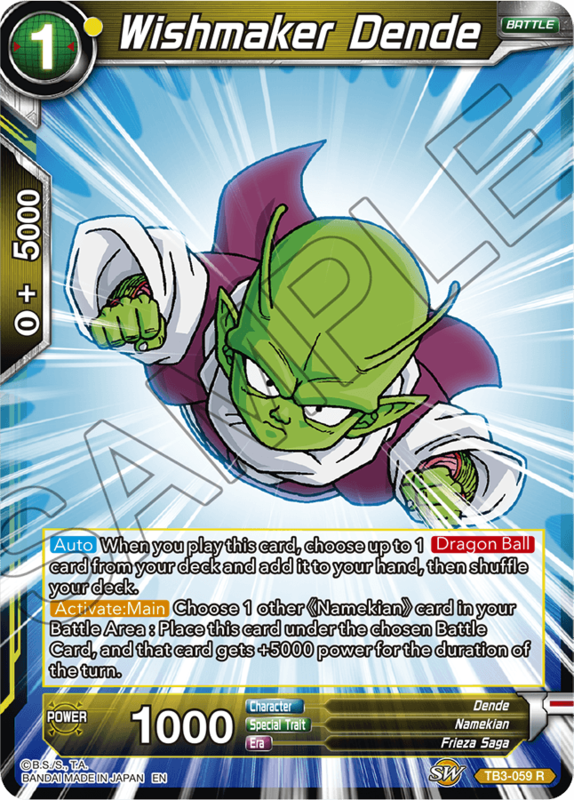 Just the card to get the essential parts you need from your deck! 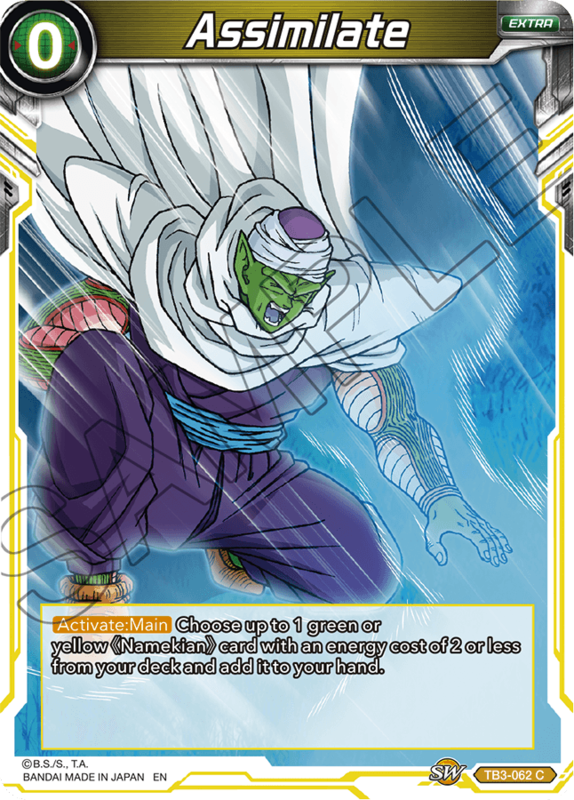 Negate attacks, and give your own cards Blocker along the way! 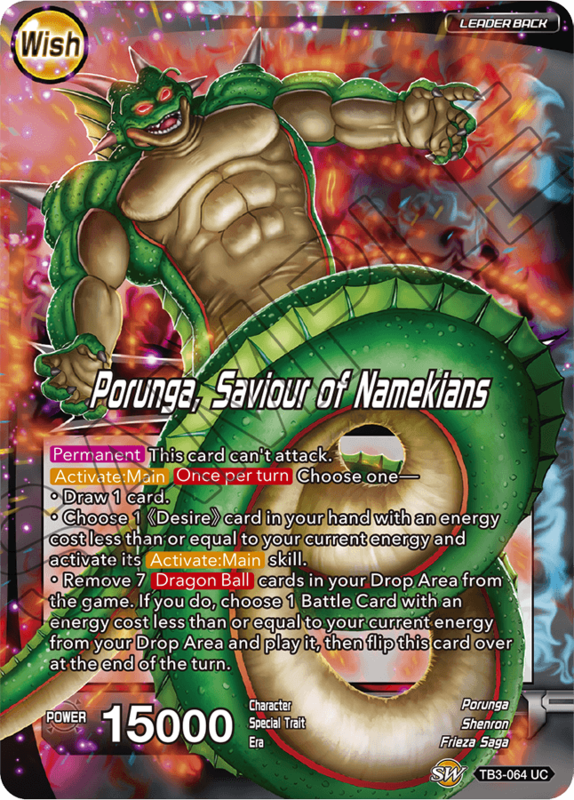 Porunga appears at last! 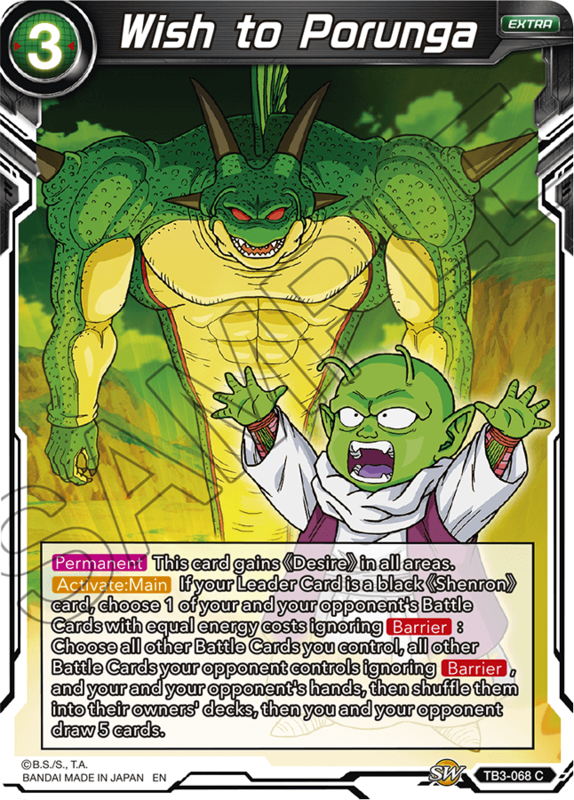 Play your most powerful Battle Card from your Drop Area to turn games back from the brink! 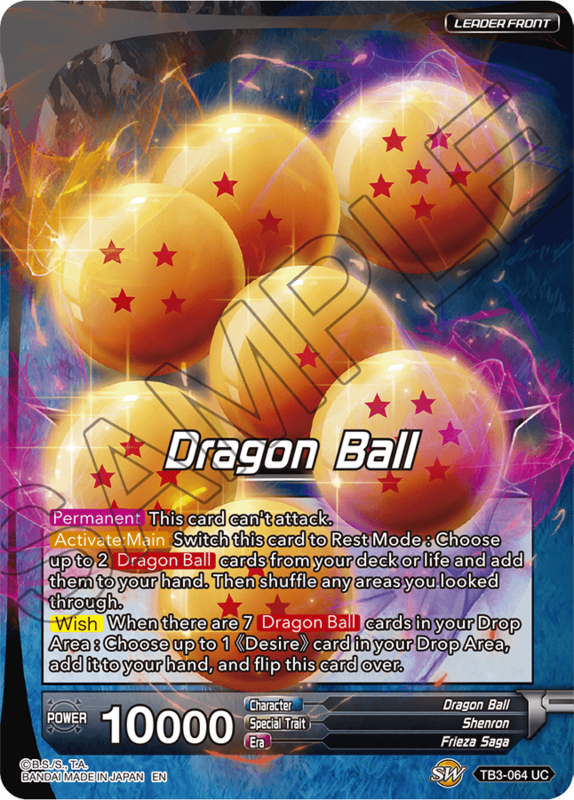 Make a wish to reset the battlefield, just like in the climactic showdown between Goku and Frieza! 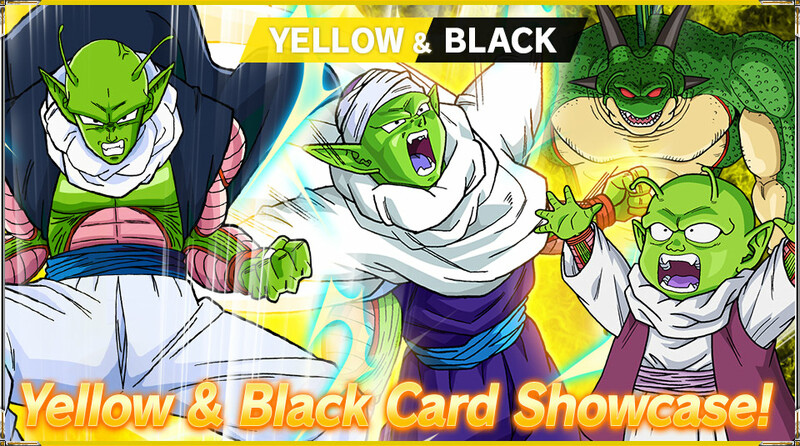 While most of the Namekians this time are yellow, new black cards offer the possibility of building a powerful yellow/black deck! Work in some of the powerful black cards from series 5 to create an original deck of your very own!